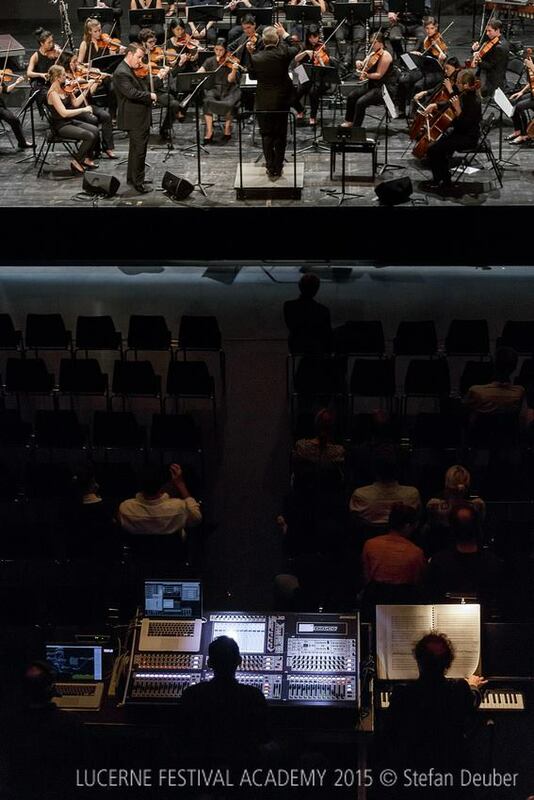 Terrific performance last evening of the HYPERSTRING TRILOGY at theLUCERNE FESTIVAL. Amazing playing by hyper-soloists Mariel Roberts.Hannah Nicholas and Colin Sorgi, as well as by a large ensemble from the Lucerne Festival Academy conducted by Clement Power. Brilliant audio mixing, as always, by Ben Bloomberg, and a very nice feeling to have the new, restored performance versions of these pieces out in the world again. Hyperstring Trilogy is available from CDBaby.